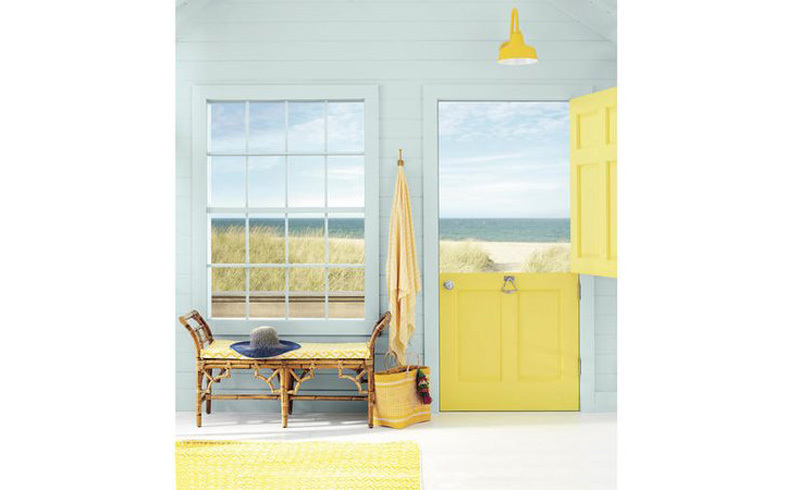 This happy hue is having a moment. Here’s how to infuse it in your home in ways that will last a lifetime. 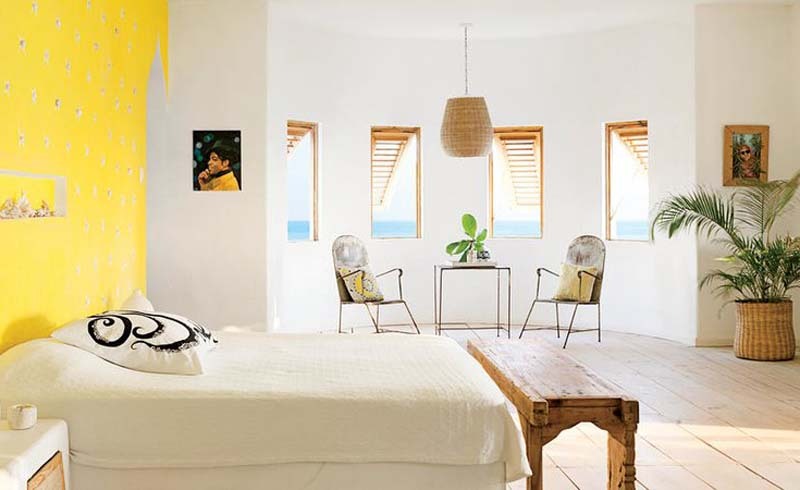 Aside from the stunning turquoise ocean views just outside a quartet of bay windows, the natural simplicity of this bedroom in Jamaica reigned supreme—until the owner decided to splash the wall behind the bed in vibrant yellow. Now, the electric shade competes (in a good way!) with the bright blue sea. To break up the bold hue and add texture, the owner adhered a pattern of sea urchins to the wall. One of the easiest and most effective ways to add curb appeal to your home is with a front door painted a cheerful hue—and Pineapple is the most cheerful of them all. It’s perfectly acceptable to use the front door as a wild card, however, we love the idea of coordinating things like a glossy overhead light fixture, an entry rug or runner, and fabric on a mudroom bench to really play up this playful hue. According to color theorists, the kitchen may be the most important space to bring yellow into, since the bright shade can not only increase happiness and optimism but promote digestion as well. This two-toned kitchen balances the bright with calm, neutral white walls and a natural wood island topper. Keeping the color to the bottom half of the room also prevents the space from feeling top-heavy. Color “temperature” refers to how bold, electric, and hot a shade feels when you see it. 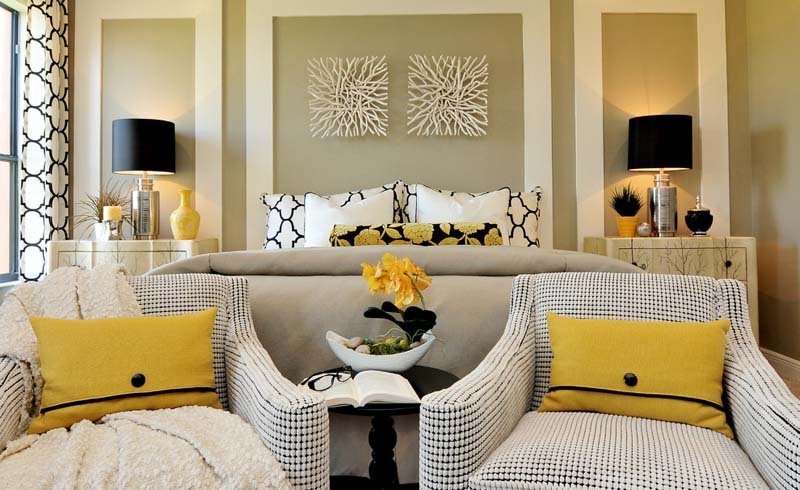 If you’re going to use a shade like Pineapple—hotter on the spectrum—pairing it with equally hot shades actually helps to balance (rather than overwhelm) the space. On the coast, we love the trio of Pineapple, Coral, and turquoise—which, obviously, co-exist in nature as well. 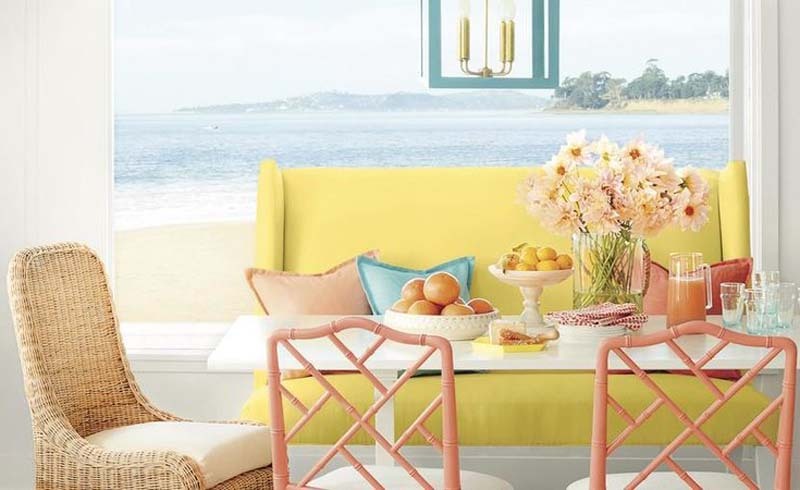 Try it in a breakfast room, where the palette will bring energy to those lazy early mornings by the sand. The shade might be bright, but it doesn’t always equal a bold aesthetic. Lofted ceilings and plenty of white space make this guest room feel serene—even though it’s clad in floor-to-ceiling patterned wallpaper. 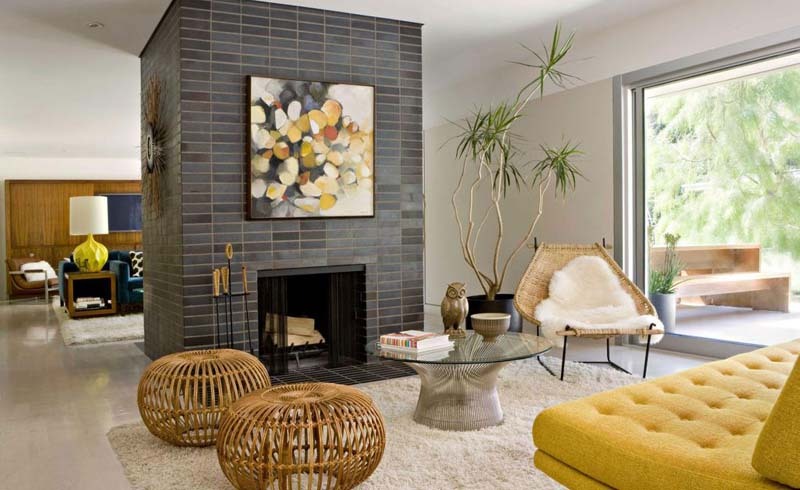 A woven rug increases the relaxed vibe, while pops of solid yellow add cheerful accents that are bound to make anyone feel welcome.